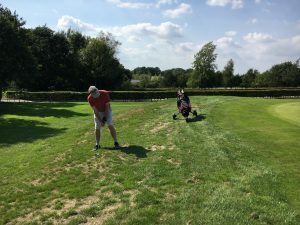 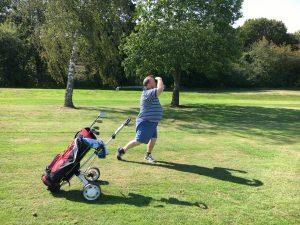 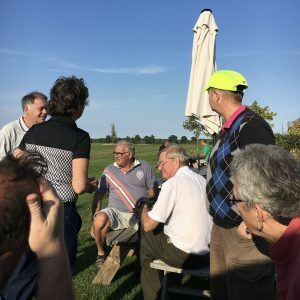 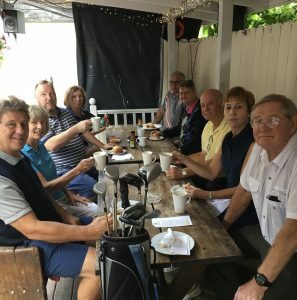 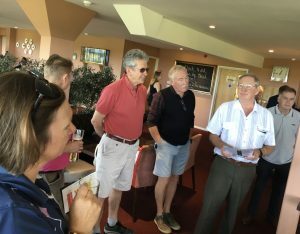 Well done and congratulations to everyone who joined in the 6 teams for the resurrection this year of the pub’s FOUTO Golf Trophy at Halesworth Golf Course on September 1st. 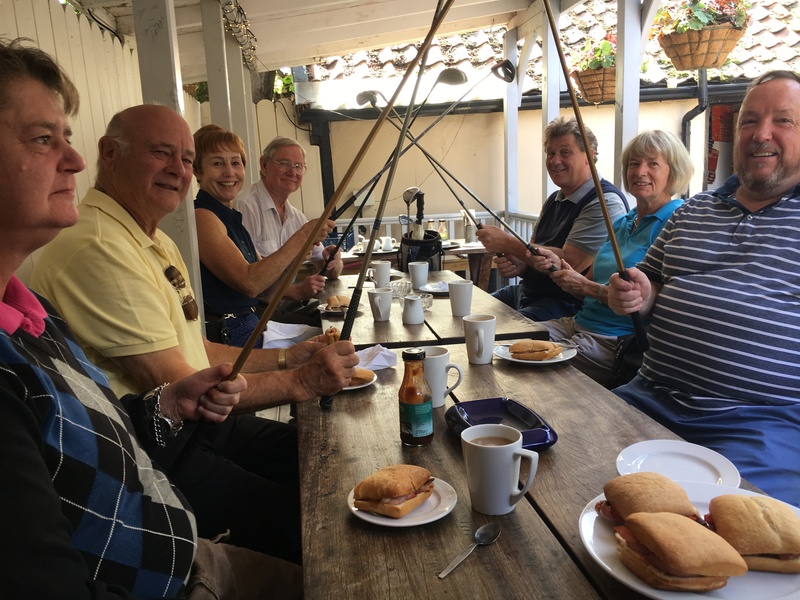 Starting the day with complimentary coffee and bacon rolls at The Low House the players were already psyching each other out with tales of low handicaps and Eagles they had known and loved. 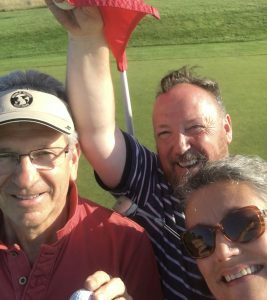 Playing in the Texas Scramble format, it was a beautiful day with some inspiring golf (including ace player, Bill Shuttle who hit the ball 90 yards down the fairway and straight into the 7th hole). 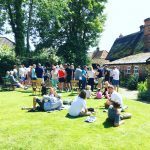 Thanks to Richard Simmonds for coordinating everyone; to all those who played or donated prizes and to Mike at The Royal Oak for laying on such a reasonably priced evening meal afterwards. 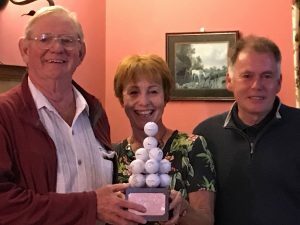 The winning team was Caroline, Joe and oh..err Richard Simmonds holding the FOUTO Trophy carefully sculpted by KR Dunkley.